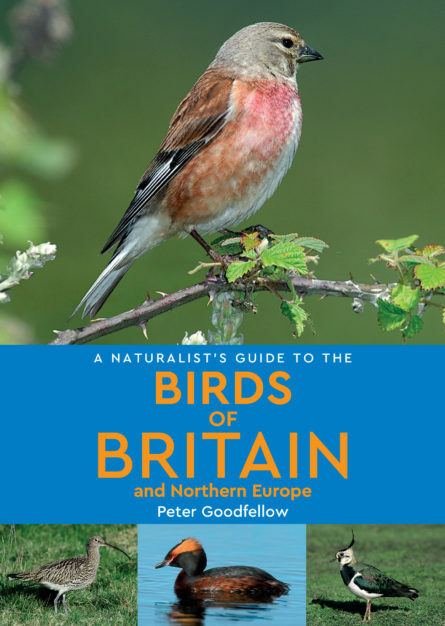 A Naturalist’s Guide to the Birds of Britain & Northern Europe is a photographic identification guide to the commoner birds of Britain and Northern Europe, featuring 280 species that the amateur naturalist might expect to see in the field or garden. The user-friendly introduction covers geography, climate, habits, taxonomy and nomenclature, bird topography, and the best places to watch birds, in a way that doesn’t assume prior knowledge of the subject. Includes a list of useful addresses and contacts. Peter Goodfellow is a retired school teacher and lifelong birdwatcher. He is a past Chairman of Devon Birdwatching & Preservation Society, and regularly involved with BTO surveys. His previous publications include “Shakespeare’s Birds”, “The AA Illustrated Birds of Britain & Europe” and “An Identification Guide to the Birds of Britain & Europe” (both with Paul Sterry). Paul Sterry is one of the UK’s leading wildlife and natural history photographers, with more than 40 highly successful books to his name. Originally trained as a biologist, he uses his knowledge of natural history and ecology to take images that serve to depict wildlife in a natural context, and to celebrate its beauty. Specifications 180 x 128mm / 7” x 5”. Extent 160 pages 40,000 words approx. c300 colour photographs.